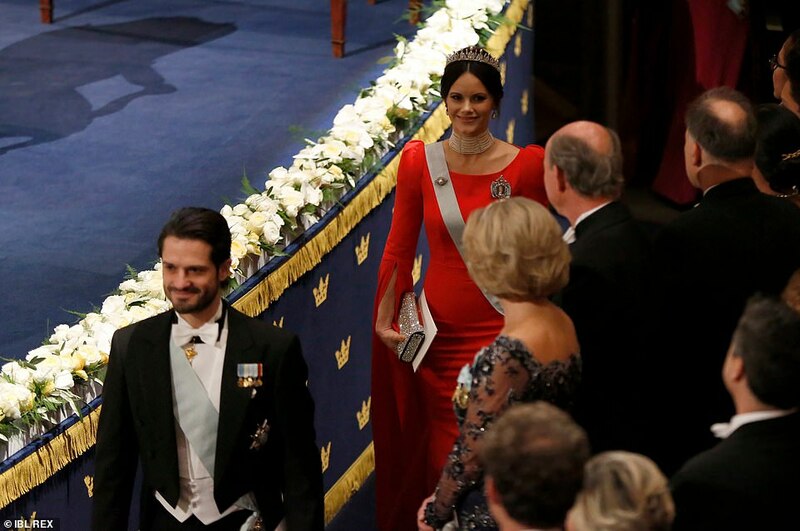 ^ Looks like the Jewel vaults aren't opening yet for Sofia, though her gown was an improvement. 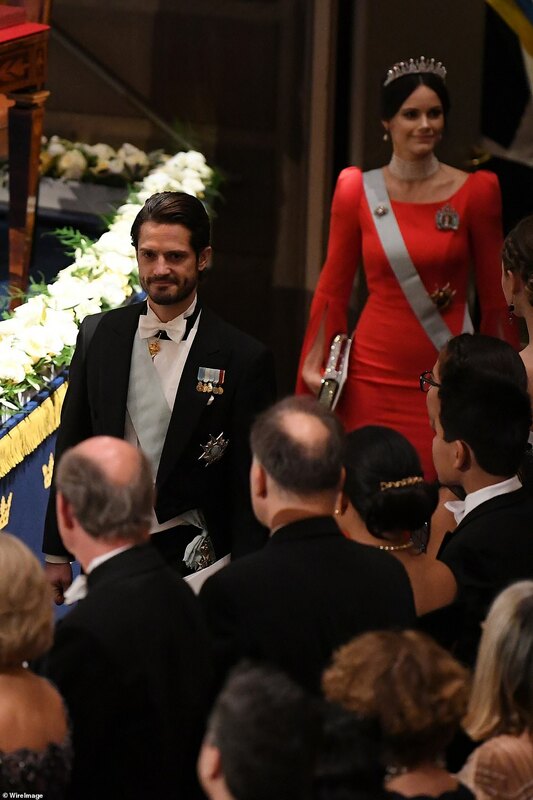 The trouble is that she has a mother in law who really rocks tiaras and has her favourites, and two sisters in law who get to pick their selections (or are loaned them) before Sofia gets a look in! We'll see what happens next year. 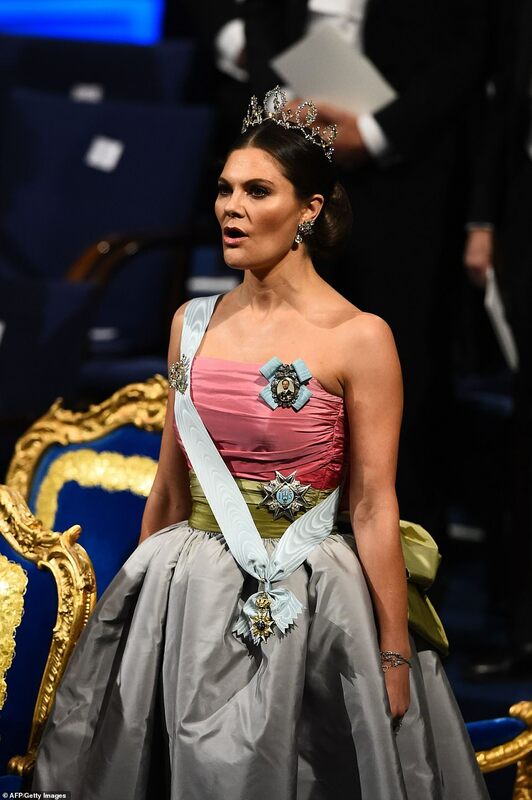 Weird that she used her tiara for both galas. Though there are not many tiaras once you eliminate those used only by the queen and Victoria she could have used the amethysts and the 4 buttons. She must be on probation!!! I agree with you on the dresses. Much respect for CP Victoria. She combines her regal bearing with an obvious warmth. Yeah Victoria won this year. I liked Madde but they were not as well done. Sofia looked over botoxed in the second gala but looked much better than in the first. Victoria looked magnificent! I really like the cut of the dress. The Steel Cut Tiara and Cameo necklace worked perfectly with it. The color of Madeleine’s dress was beautiful, but it was too big on her. The dress would have looked amazing with a more fitted top. Her hair toghether with the Connaught tiara looked really stunning. God only knows what Sofia was thinking when she chose to wear that dress. The color looks good on her but the shape of the dress is just odd. And I don’t get why she didn’t wear her hair up toghether with her emerald wedding tiara. The whole look was just a mess. It's nobel prize time again! 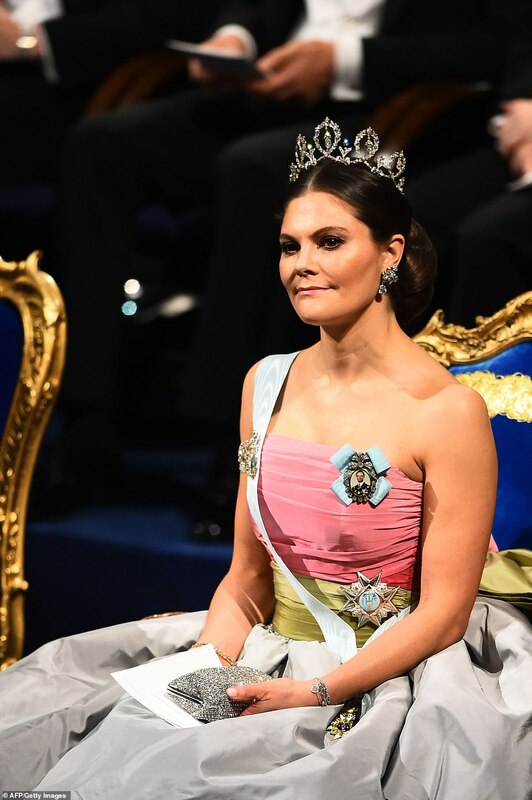 Typical sunday fluff piece: lot's on the royal ladies' expressions, gowns and tiara's, yet not a word on who won what! Victoria dress is very 80's... but I like that she reuses her mother's clothes. ^ Yeah also not a fan of the choker on Sof, I think Madde wore it a few times as well, I never liked this one (if it is the same, if not they are similar). I love Vic's dress! Esp the different colours! The funny thing is that the choker is new. So even having a similar one CP had to buy one for her. I think she looked happy to have all thr limelight for her. And they dont loan jewels to her. When Victoria is queen we are going to see a lot of changes. ^ omg! I suspected it was another choker! It's even uglier than the one Madde wore, because Madde's pearls are bigger, so it looks nicer. They really lend her the bare minimum, it's hilarious! I'd love a crystal ball to see what the jewellery lending would be like had Emma or another woman who's a good woman married in! I can't believe Sof just had to buy a piece the family already owns. The copy-catting of Madde is out of control with Sof. I think if it was Emma she would have used everything Madde uses. Minor jewels but all of them. But not even Silvia must like Sofia. 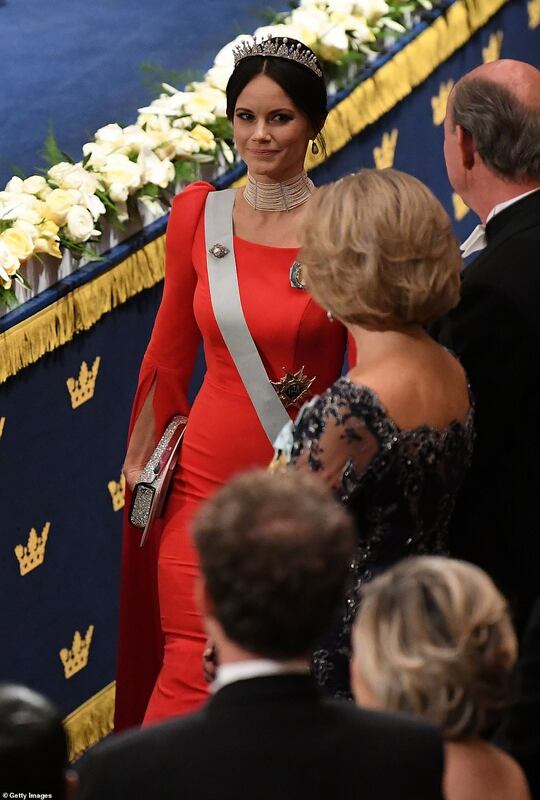 And not even CG has made Silvia loan jewels to Sofia. That discussion must have been something else. Though probably CG will let CP inherit nearly everything that doesnt need to go to Victoria. And I see Vic throwing them out of the palace afterwards.